We care about your, and your new growing member of your family, long term health and safety. We are dedicated to only manufacture or distribute products with quality ingredients that help your body help itself. Nutrients from REAL food. The body is made to digest raw natural foods - so we use raw fruits and veggies to maximize absorption of the nutrients. No upset stomach. Take these pills any time of day, the ginger and vitamin B6 help ease the stomach and the real fruits and veggies make for easier digestion. Folate to help prevent neural tube birth defects, which affect the brain and spinal cord. Calcium to prevent from losing bone density as the baby uses calcium for its own bone growth. Iron for the delivery of oxygen to the baby and to prevent anemia in the mom. Iodine for a woman’s healthy thyroid function during pregnancy. A deficiency in iodine can cause stunted physical growth, severe mental disability, and deafness. Zinc is a mineral that plays an important role in protein synthesis, growth, insulin regulation, blood clotting, and vitamin A usage. 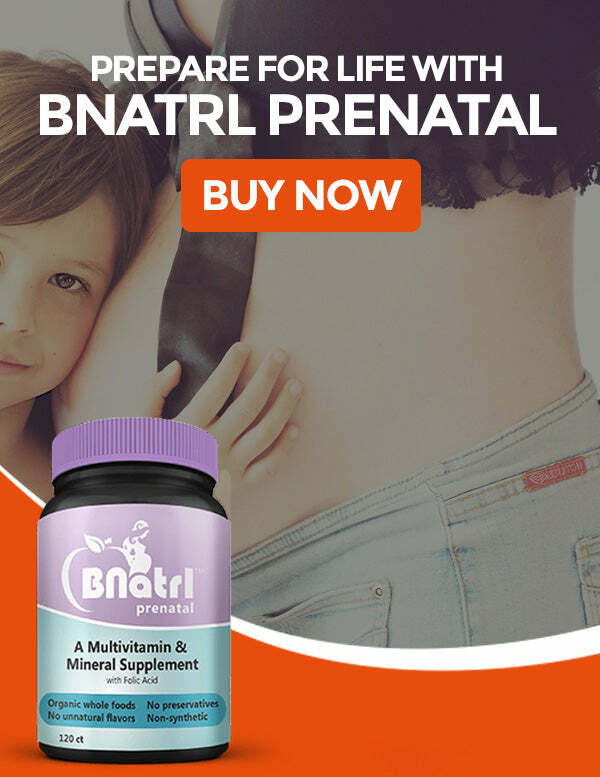 Start using your BNatrl Prenatal when you have decided you would like to become pregnant. Preferable prepare and build up a healthier you about 6 months ahead. That might not always be possible as we know so start using as soon as you can. Continue with your BNatrl Prenatal during your breastfeeding or for a 6 months post pregnancy recovery. The Food and Drug Administration has not evaluated these statements. This product is not intended to diagnose, treat, cure, or prevent any disease. Copyright © 2019 BNatrl - All Rights Reserved.